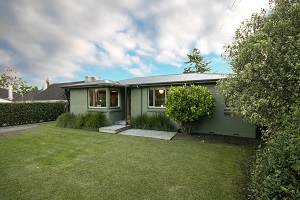 This three bedroom house in Morrinsville sold for $487,000. Bayleys Real Estate and Barfoot & Thompson had almost identical sales rates at their main auctions last week, with Barfoots selling 36% of the homes they marketed for sale, and Bayleys selling 37%. Barfoots marketed 177 homes throughout the Auckland and Northland regions for sale by auction last week and sold 64, with most of the remaining 113 passed in for sale by negotiation and a handful withdrawn from sale (see table below). Bayleys marketed 24 Auckland properties for auction and sold nine of them, the remainder passed in for sale by negotiation. The highlight of the week was a Remuera apartment that Bayleys sold for $8.7 million, believed to be the highest price ever paid for an apartment in this country. But there was also plenty on offer at the more affordable end of the market, where sales included a three bedroom house at Mangere that Barfoots sold for $615,000 and a one bedroom loft apartment opposite Albert Park in Auckland's CBD that Bayleys sold for $665,000. Bayleys' Hamilton office also held a successful auction last week, selling five of the six properties on offer. Most were rural properties and the sales included a three bedroom house at Morrinsville that went for $487,000, and a five bedroom house on a 1.327 hectare section at Meremere that fetched $650,000. You can see the full results on our Auction Results page. So the market has far from fallen over. Seriously, over 30 per cent is a reasonable clearance rate given the approach of winter - and less than 4 months out from the General Election. Me too - love the link! Hilarious! You write: "But let's await the doom merchants' chorus - with its familiar tone of discord......."
@ tothepoint: Honestly do you really think we're going to believe that kind of BS from you! Did you even bother to look at the figures for Barfoot's sales rates for May last year? You really must be a dim witted RE to think Investors are going to think that a 30% clearance rate is a good result. Quote from article: Barfoot & Thompson sold 1306 homes in May, up 38.3% compared to just 944 in sales April and 1225 in May last year. It was the highest number of homes the agency has sold in the month of May for more than 10 years and Barfoot's busiest month since September last year. Now compare that to this years figures, which have been the worst sales results for years! Message to First Time Buyers; Do not buy now, the Auckland property market has a lot further to fall. tothepoint is bang on the money. Get into Elysium while you still can. The gates are closing. Zachary seriously put your money where your mouth is and provide some evidence that Auckland's property sales and prices are increasing? If you can't provide any evidence your just talking BS. It's not like things are coming to a grinding halt. The house price graphs are always jagged as they continue their upward trajectory. I honestly think the auction results are very good. We are not even close to the situation where houses are under contract waiting for the sale of a buyers house to go through which was quite a normal state of affairs in the old days. @Zachary: Don't talk rot man, even looking at the figures link that you posted from Barfoots, it clearly shows a huge drop in sales and resulting revenue. They even admitted earlier this year that it has been the worst sales year for them. There seems to be a significant drop in sales and this is just looking at Barfoot & Thompson's stats. They're on average selling 220 less houses a month for the months of January, February, March and April in 2017 compared to 2016. That's a significant hit and if we take the average house value in Auckland which is roughly $900.000 then they're down $6 million on commissions fees each month compared to 2016. I would say that's not very good. Again, that's just for Barfoot & Thompson. $6 mill is chump change for these real estate types, its still a good year, and real investors look at the long term. You are feeling sleepy, nothing to see here. $6 million a month is huge, that means they're already down by $24,000,000 just this year and it's not even over yet. I have heard from a couple of veteran real estate agents that quite a few new real estate agents are quitting because they just can't make the sales. Its funny how the North Shore clearance rates are one of the worst week after week. It just so happens to be one of the largest congregation of immigrants???? Immigrants or people not even living here? Most of the so called immigrants purchase property on behalf of family members offshore purely for financial gain, nothing more nothing less. I can't really say I can blame them, who wouldn't take advantage of our idiotic government which cannot see past trade agreements that certainly no other foreign country intends to honour. The Chinese are in fact more capitalist than New Zealanders. So far just 172 sold at auction or day after in May month, 172/501 or just 34 percent. 515 sales is baseline for May sales this century , in the depths of 2008 . Using recent monthly auction/ other sales data for Barfoots, alongside recent RBNZ credit data reaching 515 sales may be doubtful . How do you respond to this comment Tothepoint? You are suggesting above that this result is normal for May, good even and here are some conflicting data points saying lowest May in 17 years? "Barfoot & Thompson, Bayleys both sell just over a third at latest auctions"
"Capital controls key to China curbing its debt"
"Building consents slump in April, Easter Bunny gets the blame"
Has anyone thought of moving to Dargaville? Houses are cheap! Yes - and Taihape and W(h)anganui have really cheap houses too. Plus, they're lovely places to live. Roll up all you bargain-hunters! To close to the "murder capital" of New Zealand for my liking. Many small towns in NZ are cheap for a reason, the reason is you need to lock your car doors and drive through them as quickly as possible without stopping. Yawn. On a different angle, could be some bargins later this year at turners repo auctions. Dead right. Maserativille here we come ! !